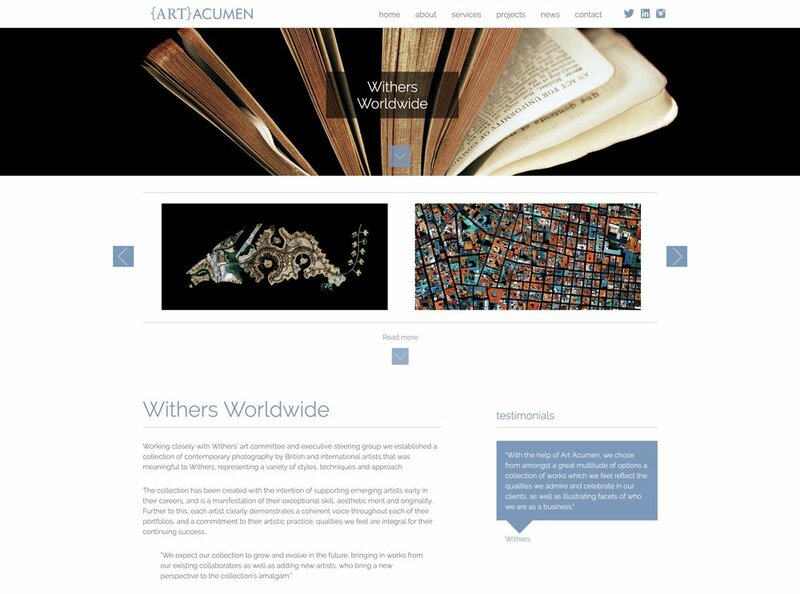 Four ULTRADISTANCIA artworks acquired to be part of the art collection of WITHERS WORLDWIDE, are displayed in the new London headquarter’ s building at 20 Old Bailey. 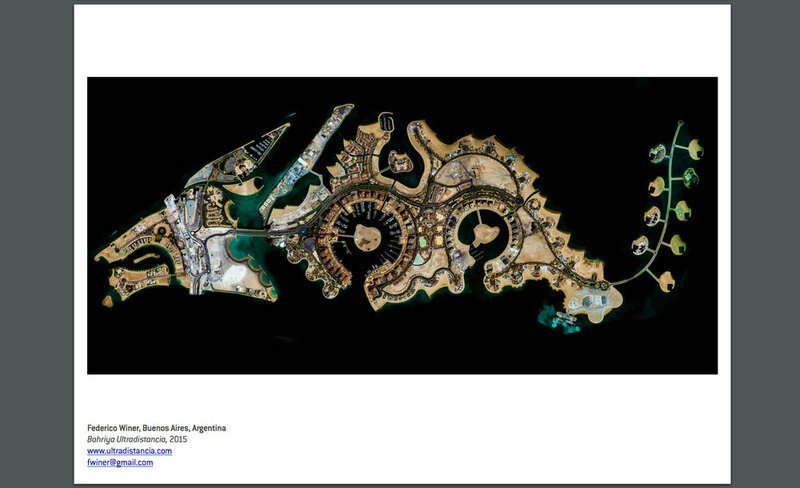 The collection was curated by the art consultancy firm ART ACUMEN. ULTRADISTANCIA in Phest: festival internazionale di fotografia e arte monopoli 2018. "Bahriya". Centerfold spring issue 06 avaunt magazine London, uk. ULTRADISTANCIA CONCEPT VIDEO FOR THE ANUAL MEETING OF CIPPEC, 2018. PRODUCED BY ZKYSKY STUDIO AND SOCIOPUBLICO. "PAMPAS ROJAS". 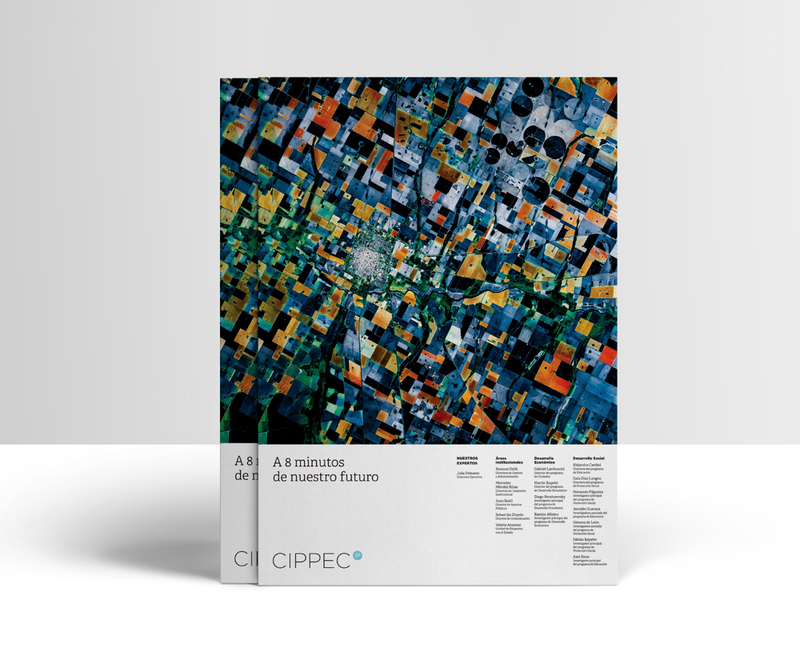 CATALOGUE FOR THE ANUAL MEETING OF CIPPEC, 2018. PRODUCED BY ZKYSKY STUDIO AND SOCIOPUBLICO. "PRAÇA DOS PEDESTRES". 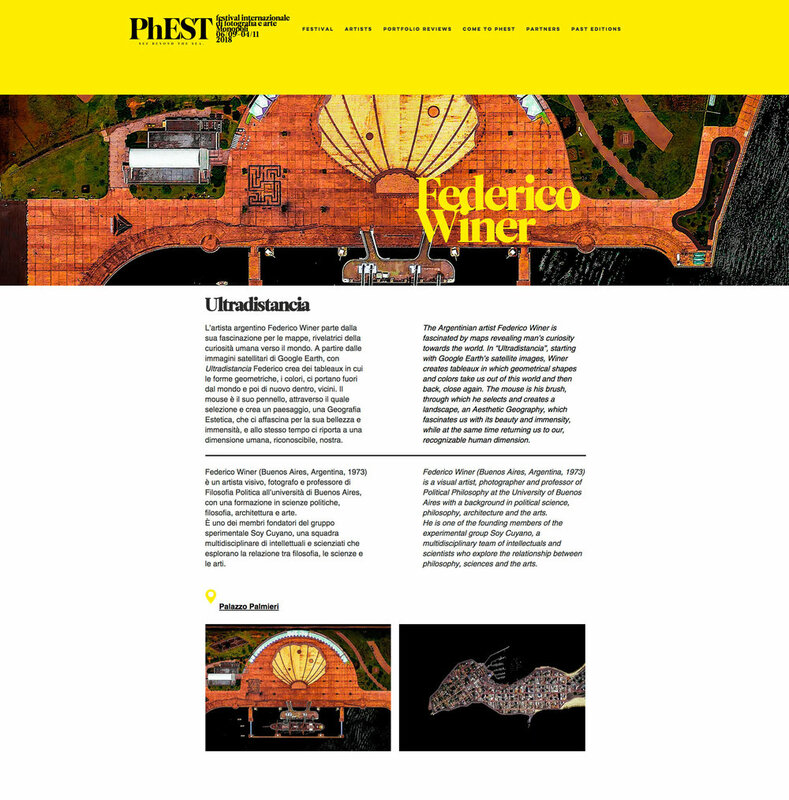 CENTERFOLD, APRIL 2018 EDITION OF BROERSTRAAT 5 MAGAZINE. Groningen, nl. Release of the Behind the scenes video of ULTRADISTANCIA, supported by Google. PRODUCED BY El Rio films, DIRECTED BY JUAN CRUZ MOUNTFORD. filmed in Buenos Aires, march 2017. 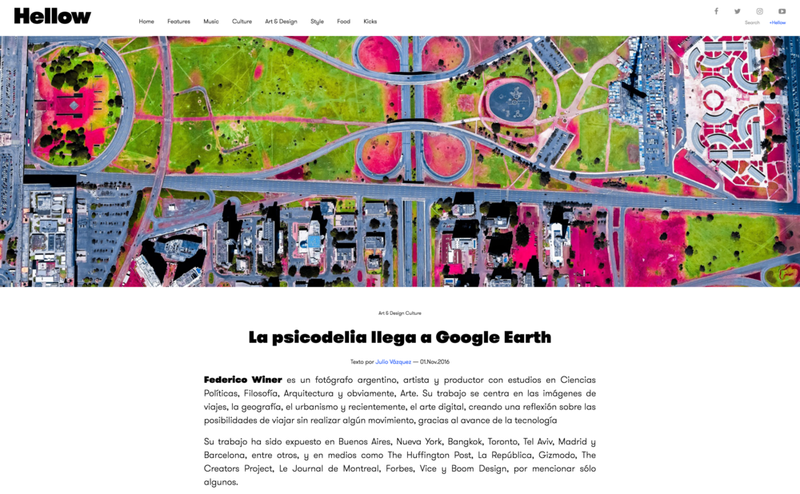 ULTRADISTANCIA was invited by Google to be part of the of the new Google Earth 2017. 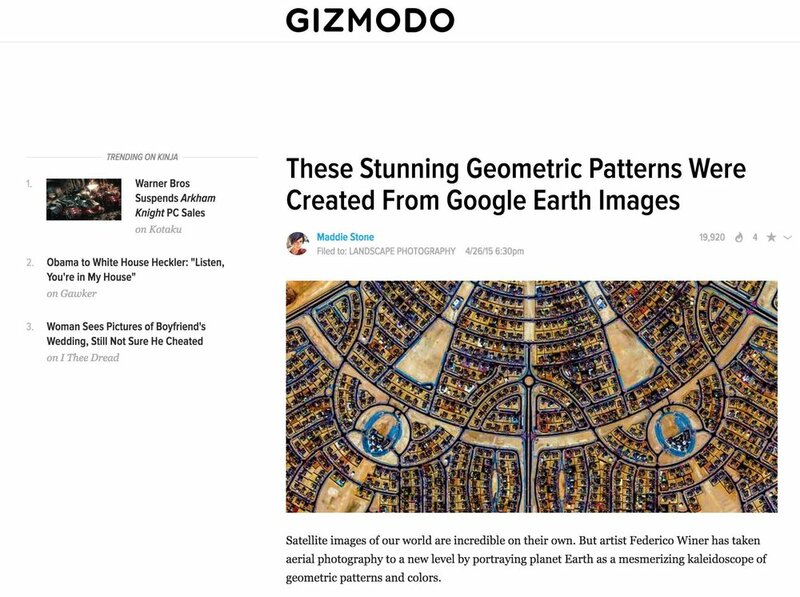 Through Voyager "a collection of map-based stories written by Google Earth partners (BBC, NASA, ULTRADISTANCIA, among others)" users can tour the earth by navigating ULTRADISTANCIA artworks into four different stories: AIRPORTS, CITIES, RENDERINGS and WILD PLACES. 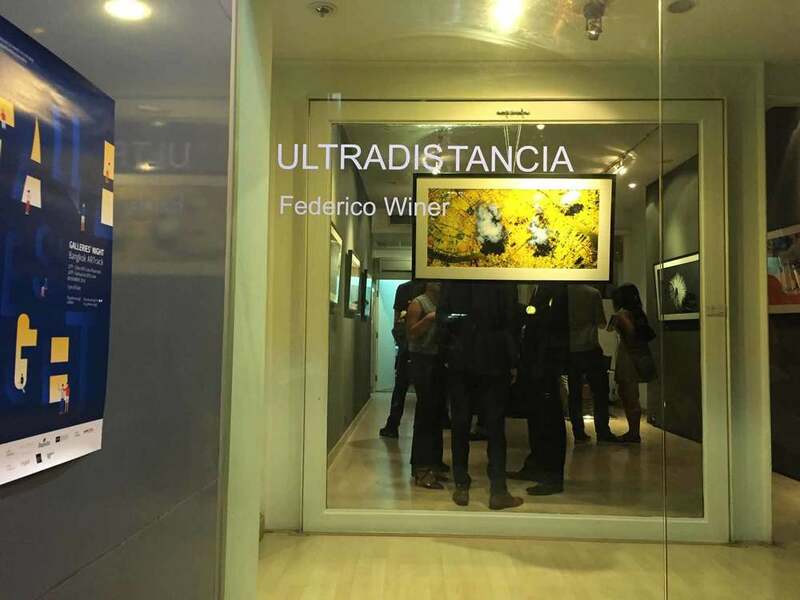 Click the links to visit ULTRADISTANCIA VOYAGER! 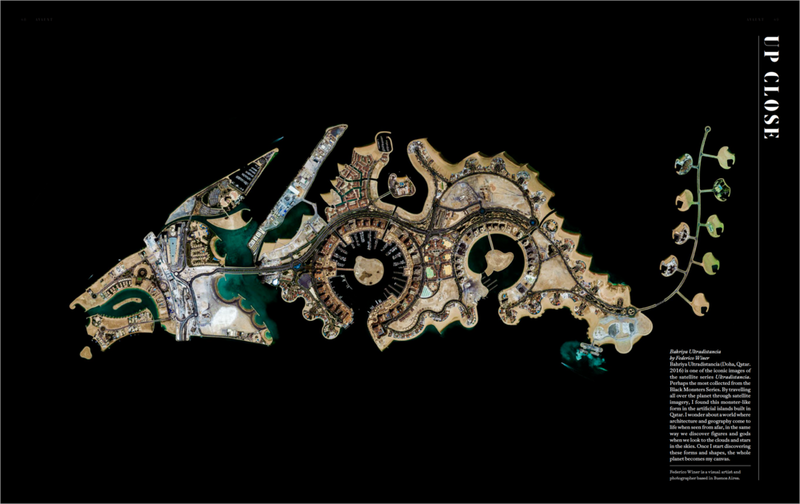 Exhibition "spacearth: the satellite photography". la bottega gallery, marina di pietrasanta. Italy. SpacEarth Exhibition. La Bottega Gallery. Marina di Pietrasanta, Toscana, Italy. Opening April 1st - 6:30pm. Featured on Lens Culture. Were we live: Monsters from the sky, by Jim Casper. 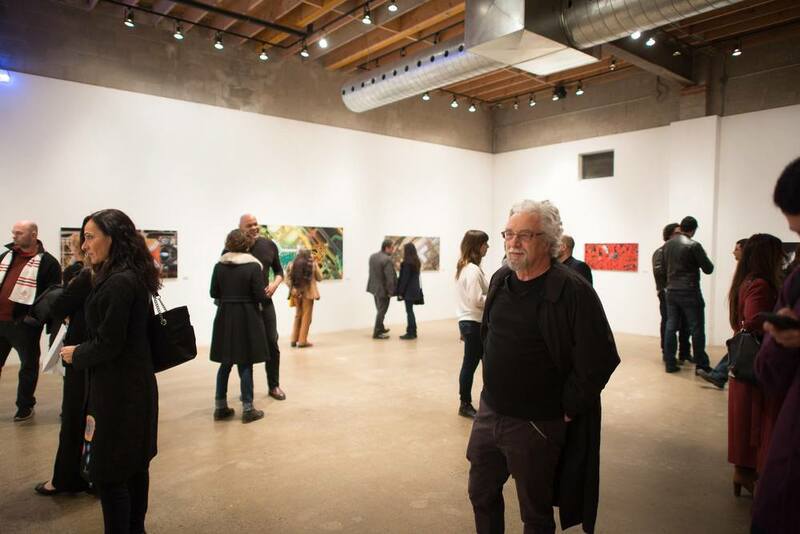 Ultradistancia-Taxonomies Exhibition at Onlyone Gallery Toronto. Installation shot. 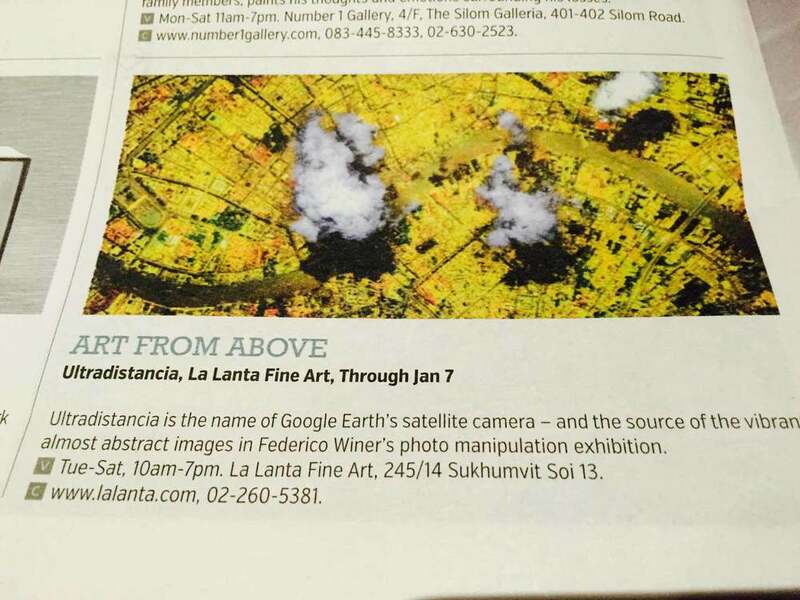 ULTRADISTANCIA EXHIBITION at La Lanta Gallery Bangkok. 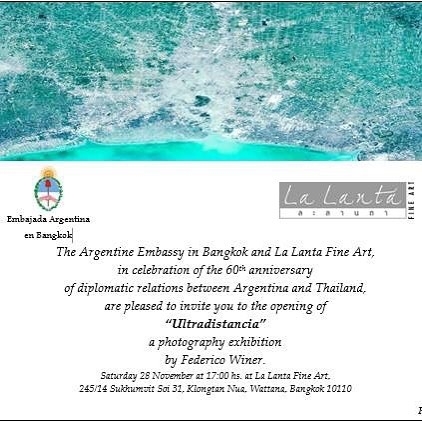 Argentine embassy invitation. ULTRADISTANCIA at FRESH! exhibition. JanKossen Gallery New York. Installation Shot.